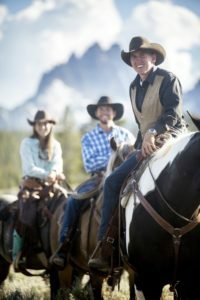 Mystic Saddle Ranch looks for qualified men and women who enjoy working with the public, are friendly and outgoing, outdoor oriented and are eager to enjoy the outdoors and all that it has to offer. Mystic Saddle Ranch adheres to a high standard of customer service and professionalism. Safety is always the number one priority. Employees will be expected to lead guided trail rides, of up to eight people, on horseback and pack into the back country of Central Idaho. 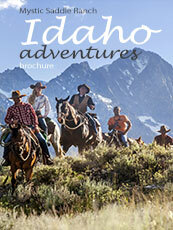 Guides will also be expected, daily to take care of stock and corral chores. Excellent customer service is a must. MSR guides are expected to work well with others and maintain a positive and helpful attitude towards guests and coworkers. Guide training starts mid-June! Season goes through the middle of September. Some winter work available in Cave Creek, Arizona. Some housing available. Wages start at $90/day, not including tips.